Taipei International Book Exhibition is the largest international book fair in Asia and the fourth largest in the world. 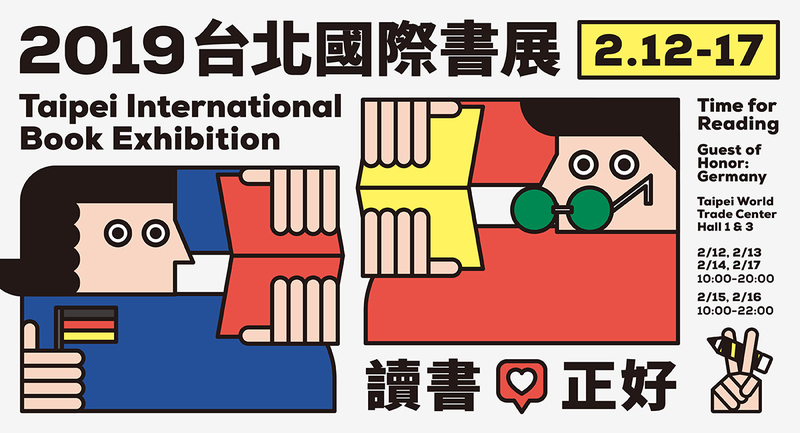 It is also an important annual meeting point for world publishers This year’s Taipei International Book Exhibition with Germany being the guest of honor and the theme of “German Stories” will kick off from February 12th to 17th. Dr.Thomas Prinz, the Director General of German Institute Taipei (German representative office) said 13 German writers including an award winning illustrator, Axel Scheffler and Ferdinand von Schirach, a famous German lawyer and writer will present their works at the exhibition along with other Taiwanese authors.